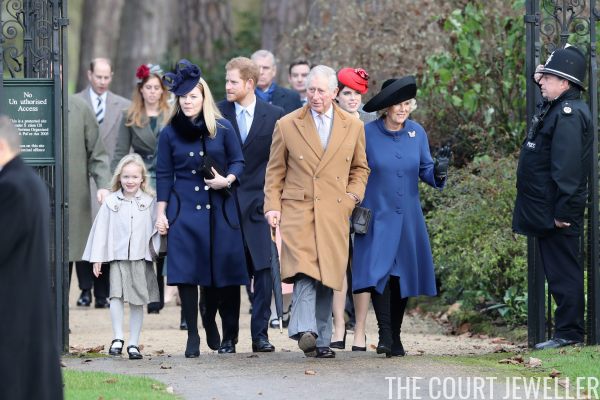 The Duchess of Cornwall was the senior royal lady on the traditional walk to church at Sandringham. 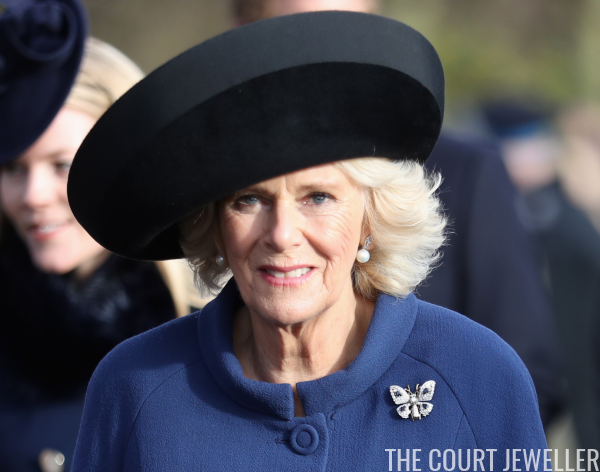 She wore diamond and pearl earrings with her sapphire and diamond butterfly brooch. 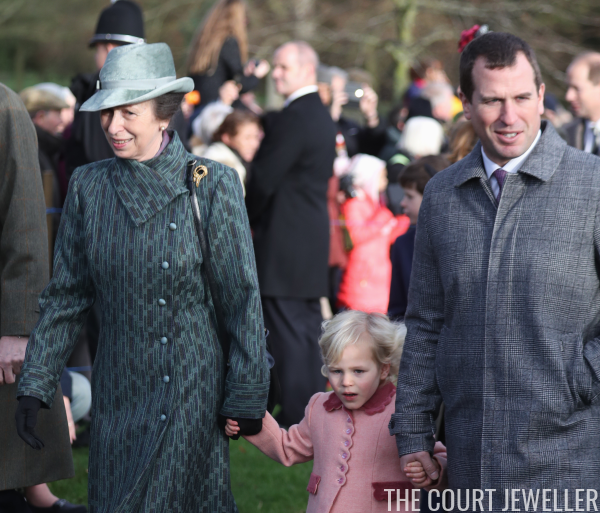 The Princess Royal, pictured here with Peter and Isla Phillips, wore her diamond-studded gold ribbon brooch. (You can see a better picture of it in this post.) 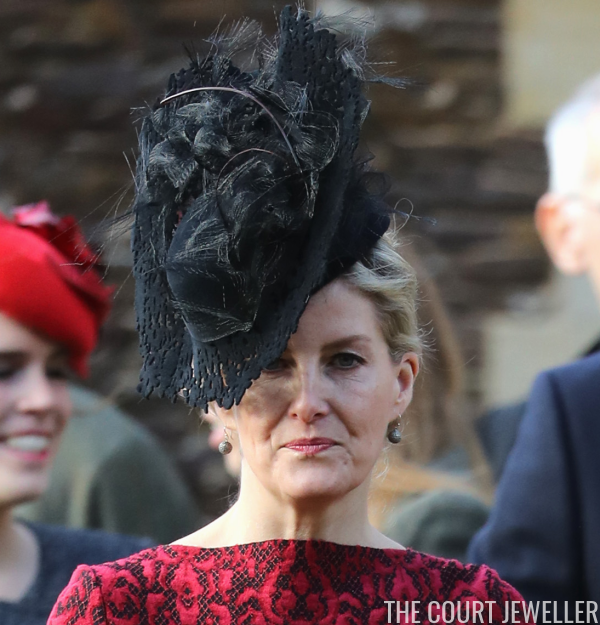 It's the same brooch that Anne wore on Easter Sunday this year. 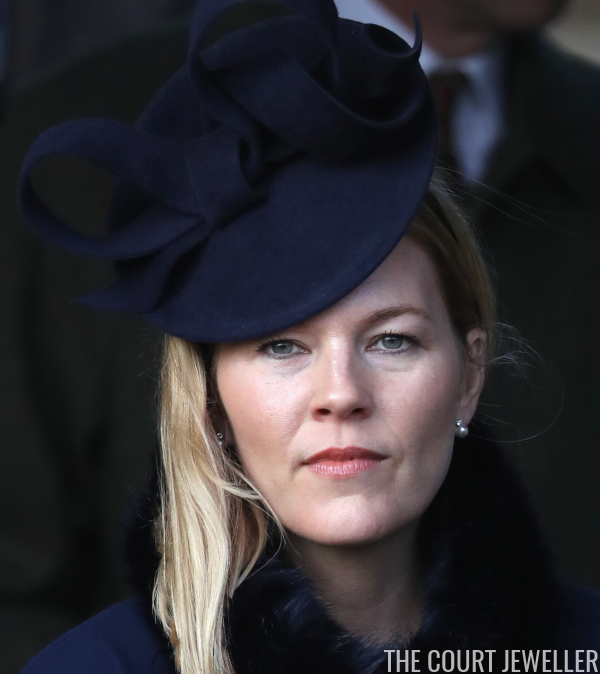 Anne's daughter-in-law, Autumn Phillips, is always one of the best-dressed Windsors at Christmas, and this year was no exception. 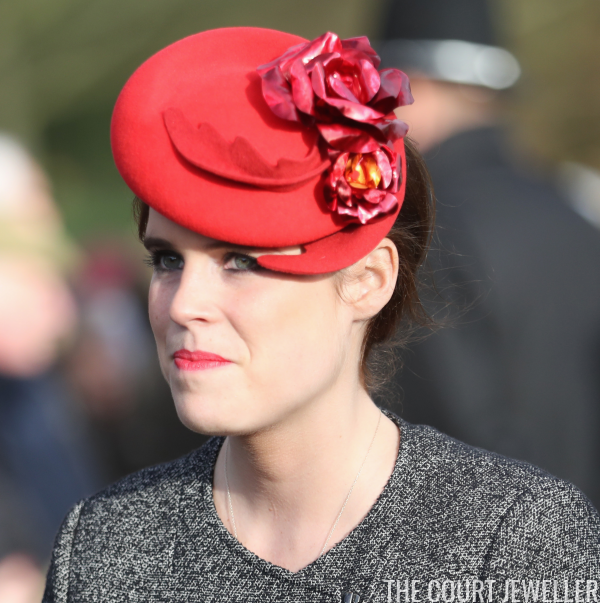 She paired classic pearl and diamond earrings with a gorgeous hat. Sophie wore her Amrapali pave-set diamond earrings with her Christmas ensemble. 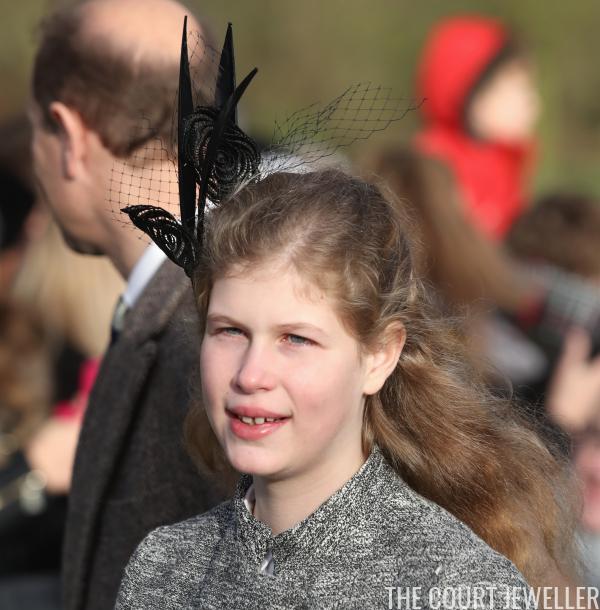 Sophie's daughter, Lady Louise, isn't in jewelry-wearing mode yet, but she did wear a little fascinator to church this year. Jewelry can't be too far off! 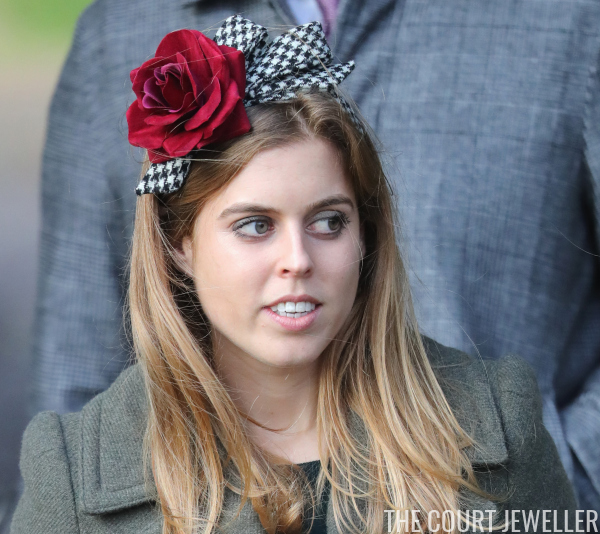 ...and only the hint of a necklace from Princess Eugenie. 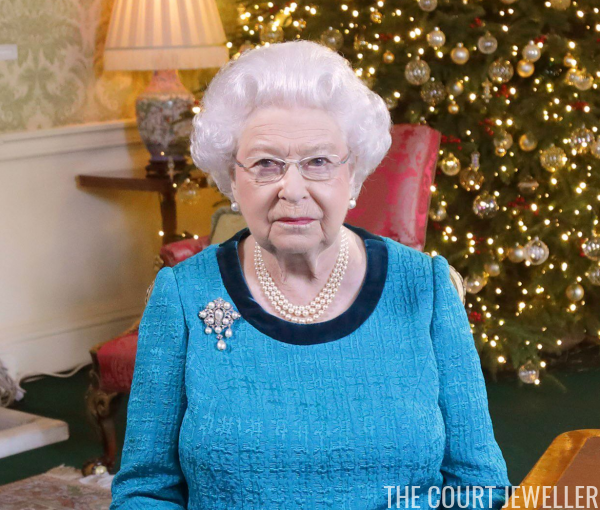 The Queen's annual Christmas Message was recorded in the Regency Room at Buckingham Palace before she came down with a cold, so we did still get a little bit of jewelry from her on Christmas Day. For this year's message, she wore a diamond brooch set with eight pearls and three pearl pendants. It's from the collection of Queen Victoria. 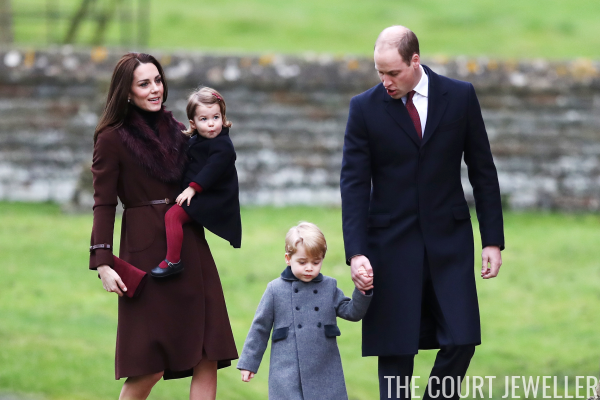 William and Kate spent Christmas with the Middleton family this year, and they were photographed attending church on Christmas Day in Bucklebury. 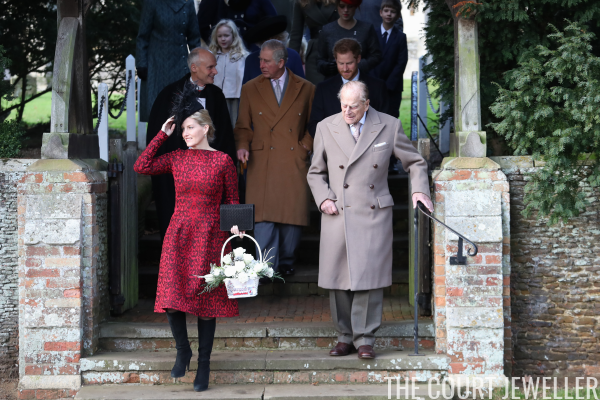 They may not have been spending the day with the Queen, but Kate wore a bejeweled reminder of her grandmother-in-law. 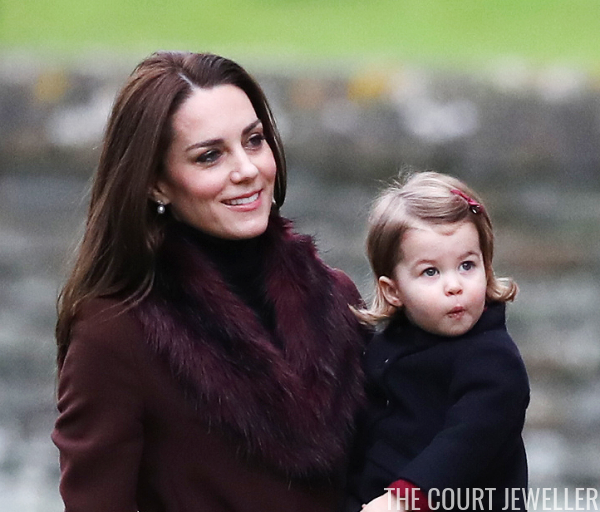 Her earrings are the diamond and pearl pair that the Queen loaned her earlier this year.